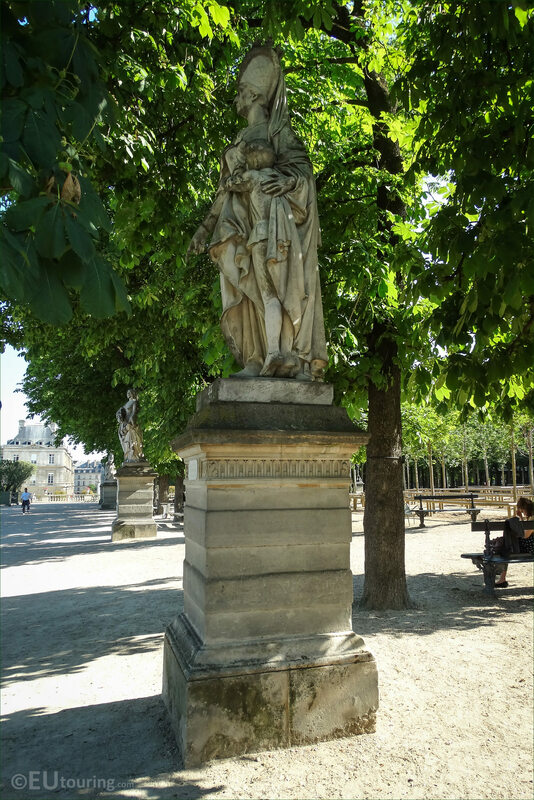 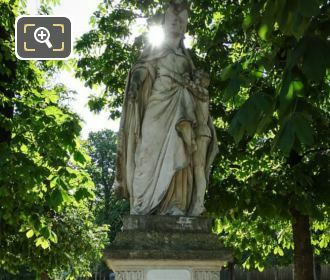 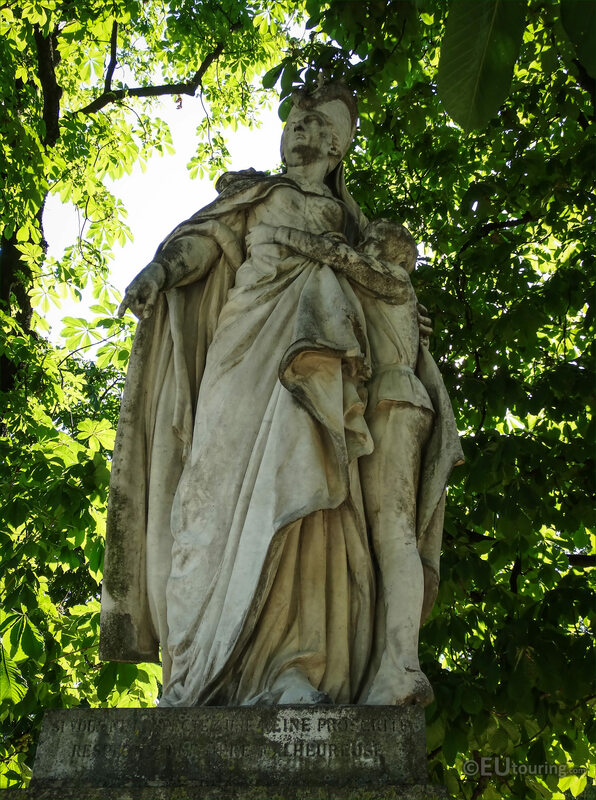 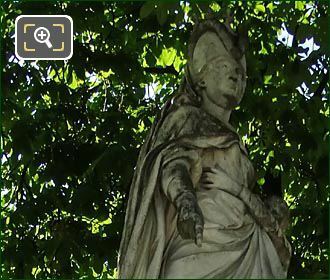 This time while we were within the Jardin du Luxembourg in the 6th Arrondissement of Paris, we took these high definition photos showing a statue of Marguerite d'Anjou by the sculptor Ferdinand Taluet. 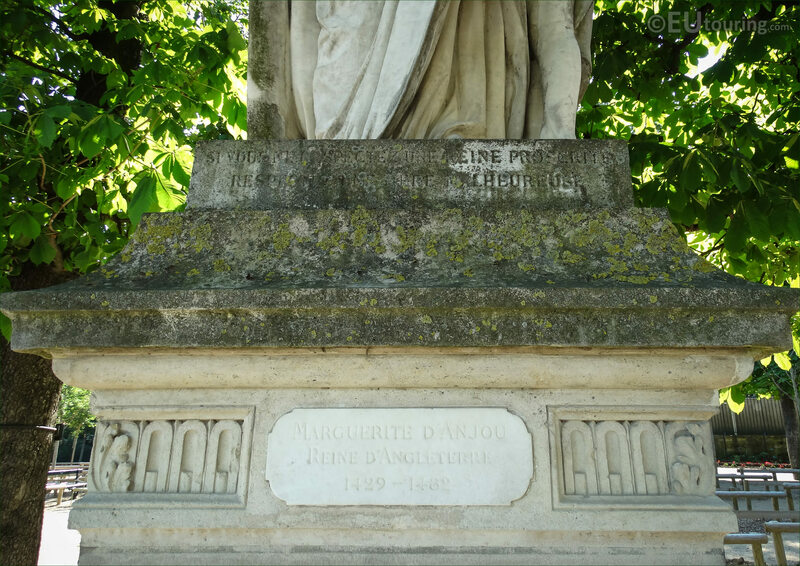 This first HD photo shows Marguerite d'Anjou, also written as Margaret of Anjou, who was born in Lorraine, France in 1430 and became the wife of King Henry VI of England, and she is depicted with her only son who died during a battle, and she was also captured in the same battle of Tewkesbury, eventually being able to return to France after being ransomed by King Louis XI of France. 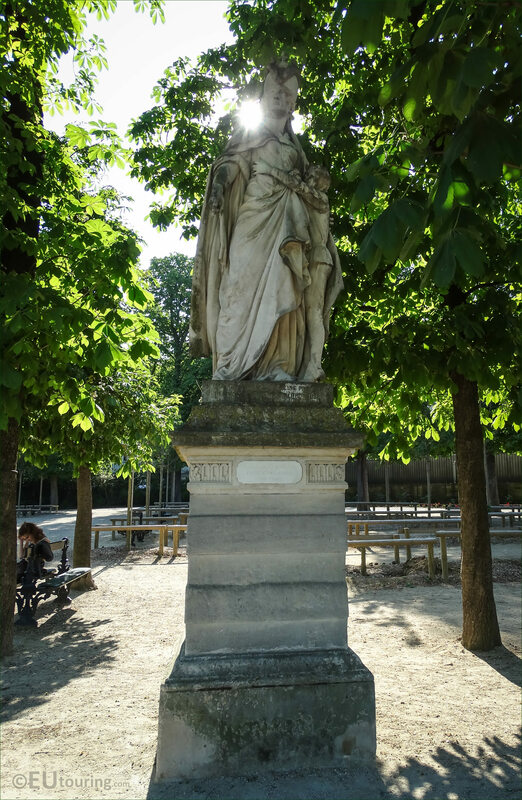 Now this statue is a part of the series called the Reines de France et Femmes illustres, which translates in English to The Queens of France and Famous Women, and sculpted in marble it stands at a height of 2.5 metres on its pedestal and was commissioned during the Third republic after the other statues in the series had already been commissioned. 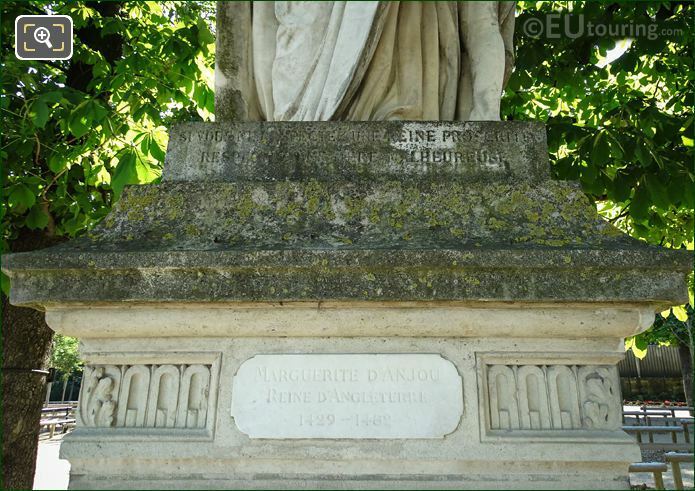 And in this photograph you can see the very faded plaque on the pedestal along with an inscription on the base of the statue, although unfortunately these are exceedingly hard to distinguish, but this was commissioned to the artist Ferdinand Taluet by a ministerial order of the French Government that was dated 15th September 1874, for the sum of 7,000 French Francs. Yet this was not the original choice made by King Louis Philippe I, as there was a statue depicting Joan of Arc by Francois Rude that was executed for this series back in 1852, but it was deemed too fragile and too valuable to be within the Luxembourg Gardens and was placed within the Palais du Louvre Museum in 1872, which is why this statue was created in its place. 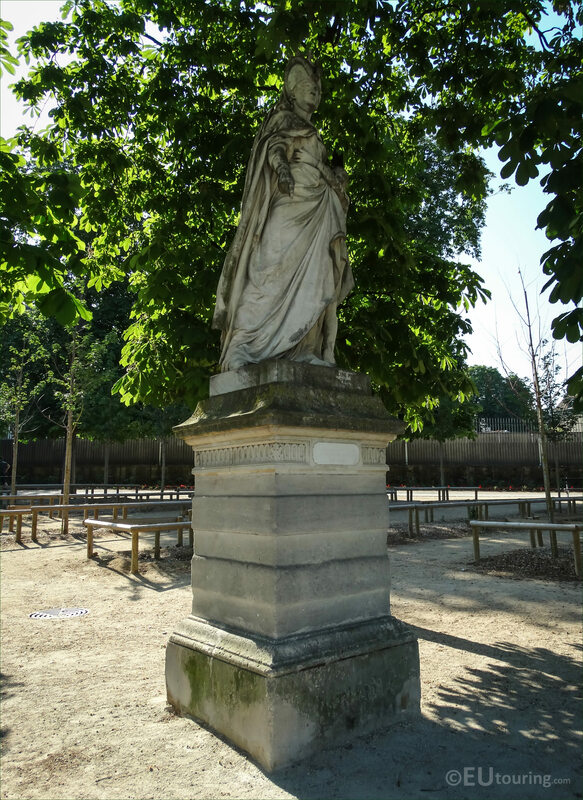 And completed on 20th January 1877, it was one of the marble statues featured at the 1895 Salon in Paris, and then placed within the Luxembourg Gardens, which is where it remains today, on the eastern terrace, that is situated to the right hand side of the formal garden as though you are looking towards the Palais du Luxembourg.